On a drizzly and humid morning after the NGV Melbourne Art Book Fair, things are quiet. Not just in the house as I feed the cats their third breakfast and rub beneath their chins until they trill, but in my mind and body too. As I fold the washing, stack the dishes, and brew a coffee, all is still, inside my head, and in the nest. As the rain increases, it further muffles the beyond world, dampening things close. The sense of interior as sanctuary is in the foreground, softly like a slumbering cat on a pillow by the computer. This morning's routine is yesterday's, is yesterday's previous, but it feels decidedly 'after' an event. Like all fast and bright things, the book fair feels like it was a long ago star. This time yesterday I was quickly throwing on my shoes, tossing the float, a bottle of water, and other essentials into a bag, and racing out the front door, only to return moments later to grab the iPhone from its charger and retrace my steps; pat the cats, bid adieu, check the lights, affirm the door is deadlocked, wire door locked, step over the snail trailing over the step, check the post box, close the gate, let's go. 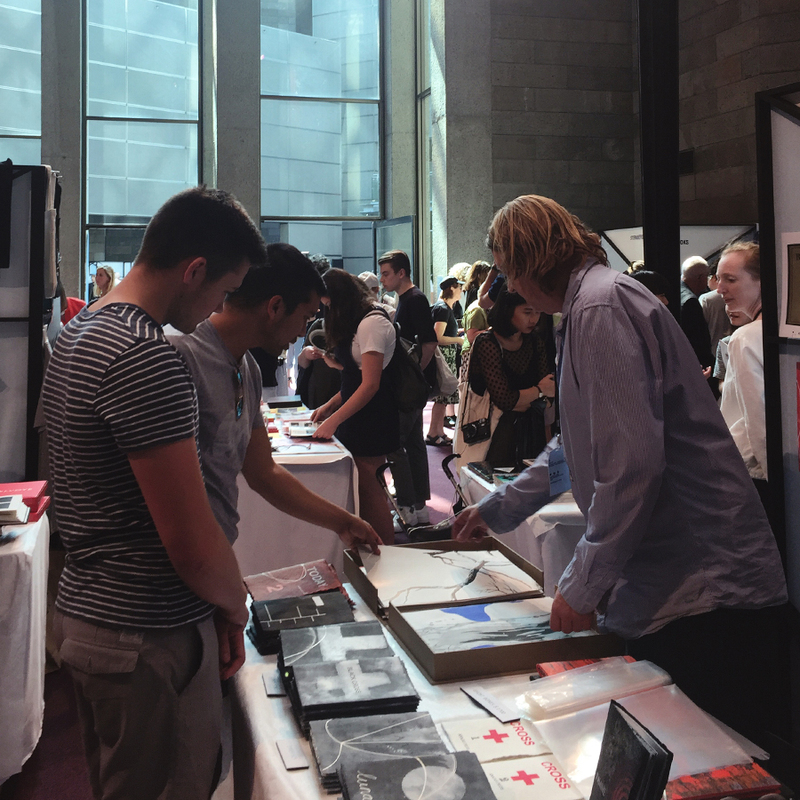 Thank-you to everyone who swung by our stall in the Great Hall on Friday and over the weekend. It was lovely to see dear, familiar faces, and to meet some new ones too. And it was good to meet in person those Louise and I feel we already know, and vice versa, on instagram, adding three-dimensional forms to profile pictures. Later today, we will unpack our boxes and restock the shelves with our artists' books and zines. 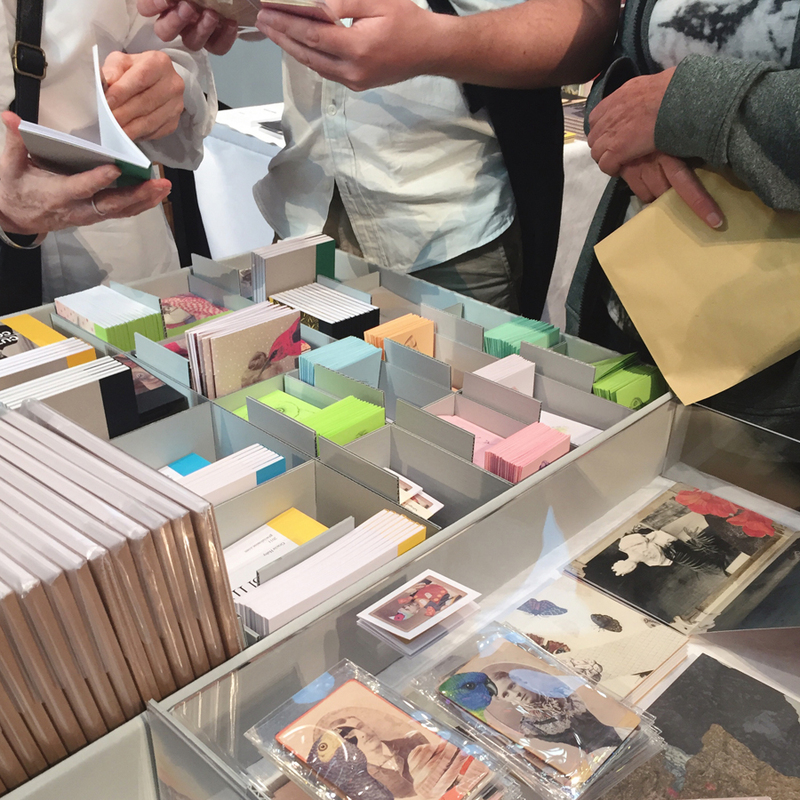 And some time after that, we will update our online store with the brand new zine titles we launched at the fair. We still have copies of Pattern, Round, circle, dot, Winged, and Limbed, for those of you who couldn’t come along. But before all of that, there is time to look back at what was, because the end of the fair was a tornado. "So much for the soft close,' remarked Trent Walter (Negative Press), I think, but I couldn't quite hear for the screech of packaging tape; the fair ended, and all was a fury of boxes sealed and trolleys stacked. 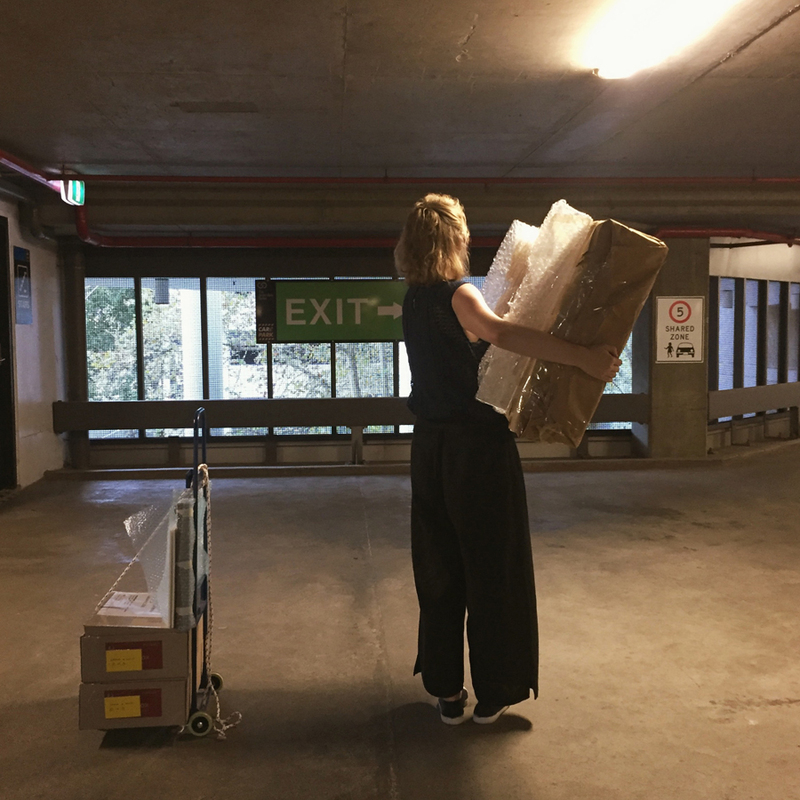 Whether post fair or exhibition, the long goodbye it never is. Light's out, close; hold the air kiss, brutal. So, here, instead, Louise and I say thank-you to our stall neighbours, Theo Strasser, Marian Crawford, Deidre Brollo, Deanna Hitti, Heide, Rohan Hutchinson, and un Projects. Thank-you Helen and Michael (M.33), Nicholas Jones, Negative Press, Sticky Institute with Deborah Klein, Miranda, Yippy Whippy, Helio Press and more, The Lifted Brow, Next Wave, Bookhouse, PSC, Momento Pro, Wakefield Press, Books at Manic, and ACCA too, it was a thrill being a part of the fair with you. To all: we love your work. And we hope to see you all again next year. 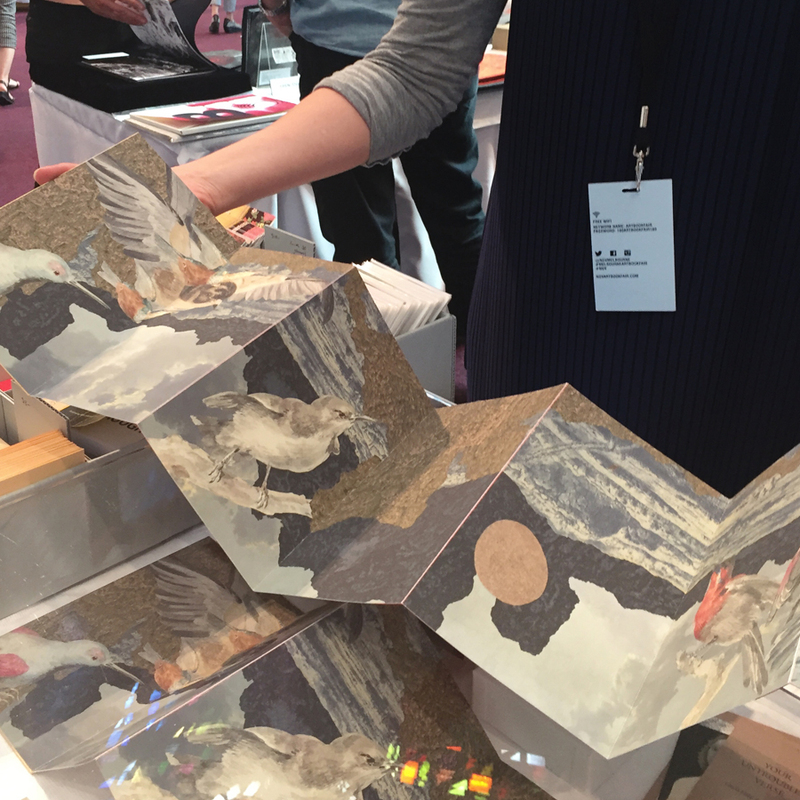 Thank-you fellow artists’ book stall holders, Theo, Deidre, Marian, Caroline Durré, and Deanna, for affording us the quiet contemplation of absorbing a little of your beautiful works, Ghost Bones and Today, Hemmed and Souvenirs for the Unwitting, Picturing the Island and For want of objects, and Towla. We only wish we were in the right headspace to be able to take in your work. We shall chalk this meditative teaser up under ‘next time.’ Your works, more thoughtful than our run through. And thank-you for the takeaway coffees, snakes, and camaraderie. Thank-you Megan Patty for having us a third time around. 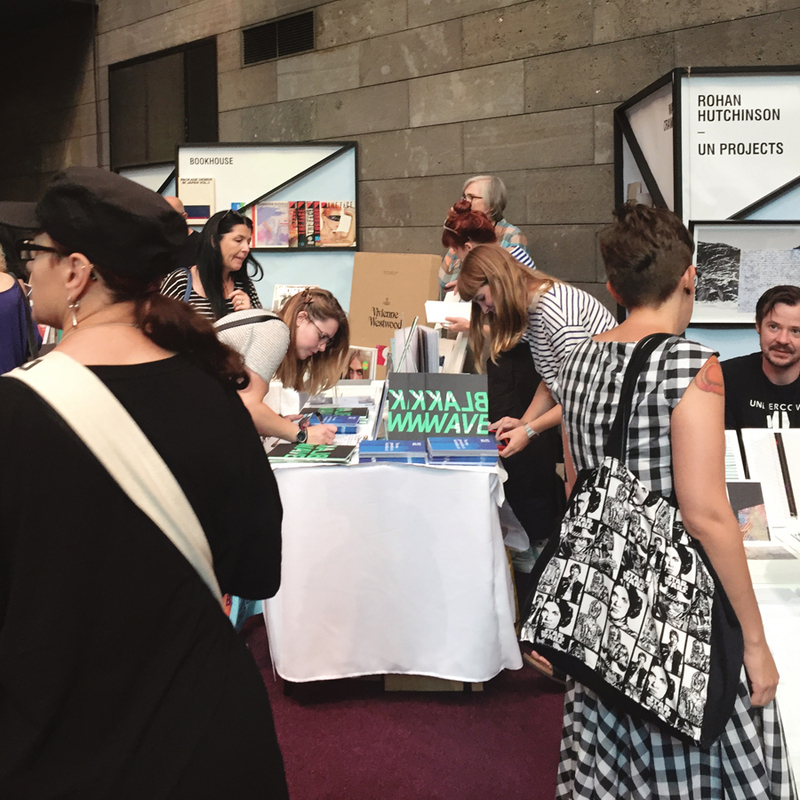 Thanks for having us in your Great Hall, NGV.